How Can I Create Recurring Invoice Reminders? First step is to create your proposal/contract. 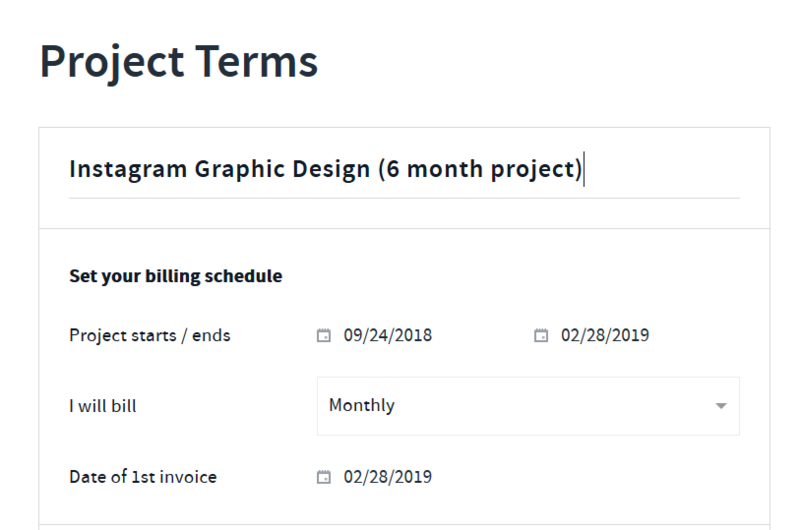 When creating your proposal/contract you will be prompted to set up your billing schedule via the project terms section within the proposal/contract. Enter in the conditions of the recurring invoice reminders such as date of first invoice, frequency of billing eg. weekly, bi weekly, monthly, quarterly or custom and when you would like your first invoice reminder to commence. Once your proposal/contract is approved by your client a project is auto created. for you in the app and you can view the project via the projects tab. 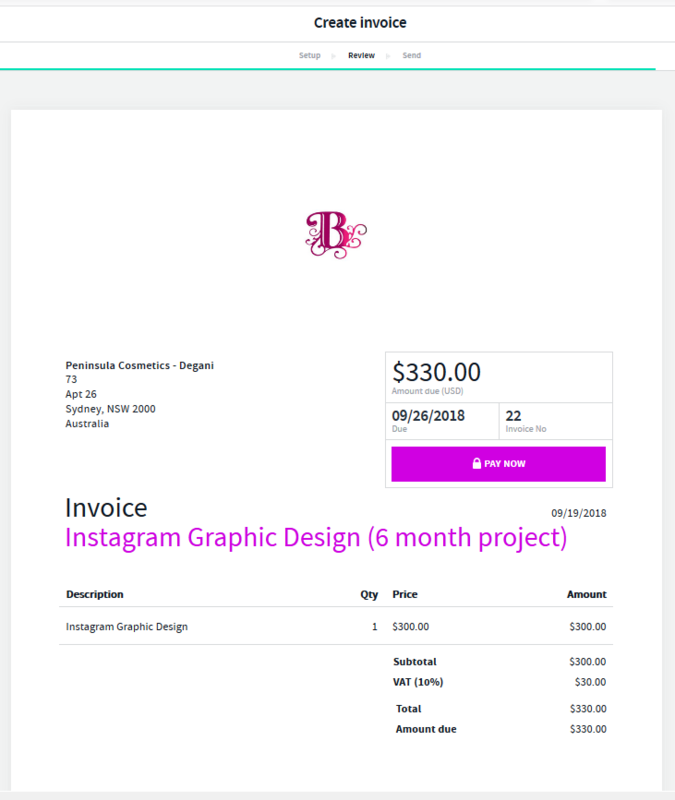 If you have created a project you can set up the invoice reminders via the project terms section of the project. Enter in the conditions of the recurring invoice reminders such as start and end dates, date of first invoice, frequency of billing eg. weekly, bi weekly, monthly, quarterly and when you would like your first invoice reminder to commence. 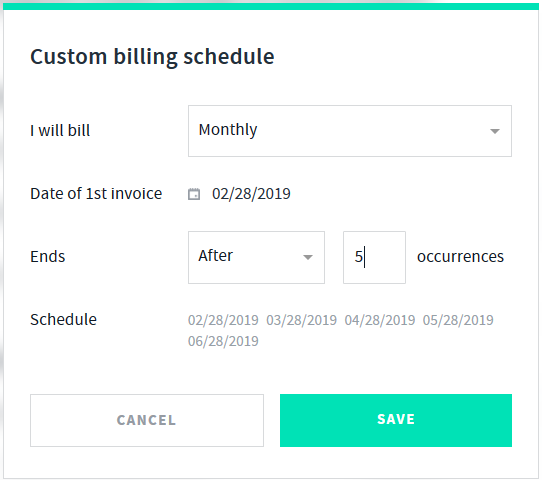 You can also set a custom billing schedule by selecting the custom option from he drop down and you will also see a schedule of dates for your invoices reminders on a custom schedule. 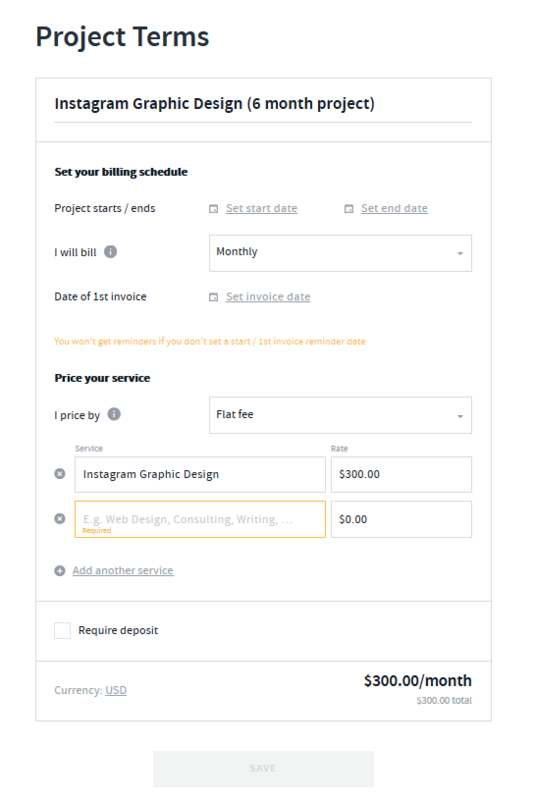 Once you have set these conditions select save and you will receive an invoice reminder due notification via your my desk as well as via email. 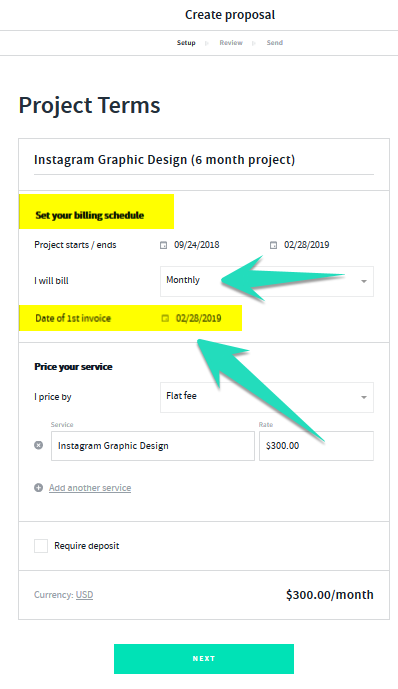 Once you select the invoice due notification via your "Desk" or "Email"notification tab the invoice will pre-populate for you with your billing terms ready to be sent.